The aria ‘Vissi d’arte’ from Puccini’s Tosca is one of the most famous moments in operatic history. But it almost didn’t make it into the final version of the opera, as the composer was worried by its ability to bring the evening to a halt: it is a show-stopper in the most literal sense. Of course, Puccini's concerns were well-founded. ‘Vissi d’arte’ always brings a performance of Tosca to a stand-still, not least because of audiences' enthusiastic applause. But opera fans have never seemed to mind. In fact, it has become one of the composer’s most popular arias. It comes mid-way through Act II. Tosca, a famous singer, has been summoned to the apartment of Baron Scarpia, the chief of police, where her lover, the republican Cavaradossi, is being held prisoner. 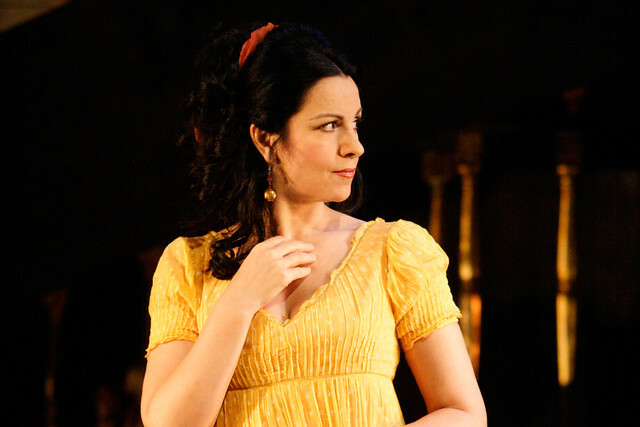 Scarpia tells Tosca that Cavaradossi’s life will be spared if she sleeps with him. At which point, Tosca begins to sing her despairing prayer. ‘Vissi d’arte’ is a heartfelt plea to God, one of a number of operatic prayers: ‘I lived for my art, I lived for love, I never harmed a living soul… why, why, o Lord, why do you reward me thus?’ For a moment the opera’s otherwise relentless forward momentum is paused as we – and Scarpia – are held spellbound by her prayer. The aria's show-stopping effect is in part due to how Puccini has structured the act. The key, tempo, dynamics and orchestration all change for the opening bar of the aria. After the heated exchange between Scarpia and Tosca immediately before – complete with martial snare drums – there’s a huge rallentando and diminuendo, musically signposting the aria as a stand-alone moment. The tempo changes from a nippy allegro to the relative stillness of andante lento appassionato (a slower 'walking' pace). The fact that the aria stands alone, almost as a performance within a performance, allows star sopranos the chance to experiment – and not just vocally. One of the most acclaimed Toscas was Moravian soprano Maria Jeritza (1887–1982) who, when performing the second act of the opera in the early 1900s, fell during the scuffle with Scarpia and found herself singing ‘Vissi d’arte’ from the floor. And – with Puccini’s approval – that’s how she performed it for the rest of her life. Maria Callas shared Puccini’s concerns about the aria’s power to bring the opera to a halt and even argued that it should be cut. But thankfully for opera fans past and present, ‘Vissi d’arte’ remains at the heart of Puccini’s Tosca as a show-stopping, heart-stopping paean to the power of art. Tosca runs 17 February–3 March 2018. Tickets are still available. Beautifully written and thought provoking piece. Callas is numero uno for me. The aria brings us all to a pause of recognition, and one that most of us can apply to our own lives.